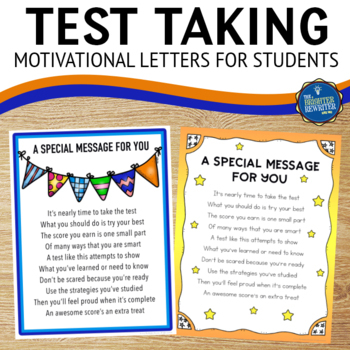 Ease testing anxiety before state testing using these motivational letters for student encouragement. 4 versions with different designs are included. 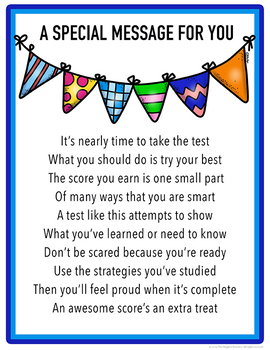 All of the letters feature the same motivational poem, which reminds kids to do their best and to take pride in their work without stressing over the potential results. 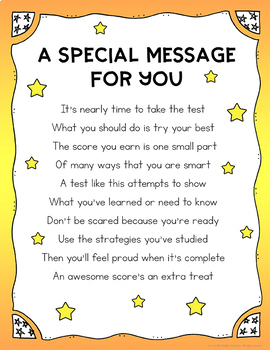 There is space to add a short personal note at the bottom. 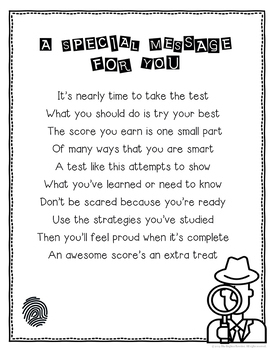 Great way to show students that you believe in them! Click on the preview to see all of the designs.